The Promethean myth of the architect and the ‘starchitect’ aspirations of mainstream professional practice have led popular architectural discourse to ignore the pedestrian notions of ‘the built environment’ – i.e. everyday construction and local vernacular – which account for more than 98 percent of construction worldwide. Rather than simply accept the built environment as an autonomous entity that exists outside the formal practice of architecture, the DIY structures of The Backcountry Hut Company work to disrupt and rethink traditional methods of architectural practice by directly engaging the fundamental social, political, cultural, and economic forces that shape the built environment. Accordingly, The Backcountry Hut is not an architectural’ endeavor, rather it has been developed as a response to the observation that popular architectural discourse has elevated itself above the level of everyday construction. Inspired by the idea of IKEA founder Ingvar Kamprad of providing affordable well-designed products ‘for the many people’, The Backcountry Hut Company provides a turnkey solution to housing through the provision of a flat-packed ‘kit-of-parts’ assembly system that utilizes the following principles: prefabrication, modularity, scalability, sustainability, mass customization. 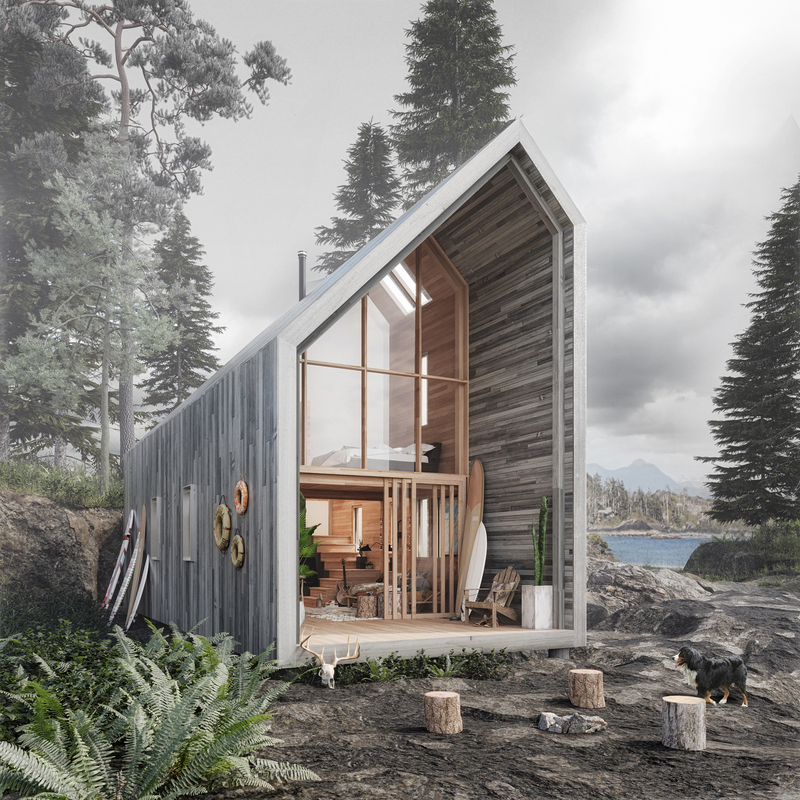 The Surf Shack is a contextual version of The Backcountry Hut system, tailored specifically to the Pacific Northwest.